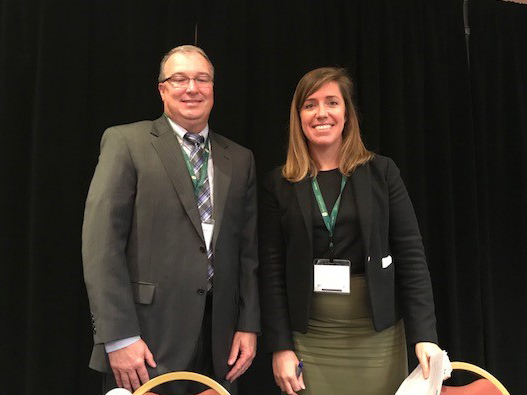 USTMA's Sarah Amick, Vice President of Environment, Health, Safety and Sustainability, John Sheerin, Director, End of Life Tire Programs and Yokohama's Neil Dalton, Director, Environmental Health were featured speakers at the 2018 California Tire Conference in Sacramento, CA. USTMA's participation in the conference was an opportunity to present the findings from USTMA's 2017 Scrap Tire Management Report and promote the tire industry's sustainability story with a state that leads on environmental initiatives. 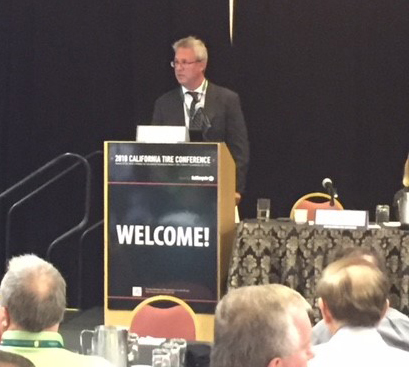 During the conference session, Amick and Dalton’s presentation focused on sustainability trends for the U.S. tire industry. Amick highlighted the economic impact of the tire manufacturing industry and emphasized our industry’s commitment to environmental stewardship and safety through innovation. In addition, Amick discussed tire materials, including the increasing need for sustainability of tire materials and the biogenic fraction of tire materials. Neil Dalton discussed Yokohama's sustainability history and provided real world examples of how sustainability plays a part in their business. He highlighted their Grand Design 100 program and related achievements such as the ISO 14001 certification of their environmental systems, the implementation of their global lifecycle assessment systems, and the planting of 500,000 new trees in their Forever Forest. In another session, Sheerin presented the findings from USTMA’s 2017 Scrap Tire Management Report. U.S. scrap tire management is considered an environmental success in the U.S. as eight in every ten scrap tires have a beneficial end use - a far higher rate than almost any other consumer commodity. Sheerin shared that USTMA will continue to grow markets in conjunction with our state partners with a focus on rubber modified asphalt, a more durable, longer lasting road construction material.